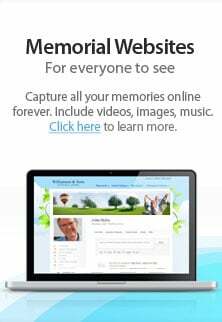 The Fremont Memorial Chapel website is a resource provided by the Rose Family. At Fremont Memorial Chapel we have the resources and the professional staff to provide comfort to you and your family. We are the Rose family and we own and operate two Funeral Homes minutes from San Mateo. Fremont Memorial Chapel is the company you can trust for all types of funeral services near San Mateo CA. We offer unique opportunities for families to create healing moments after loss. We will help you discover ways to pay tribute to your loved one in a personal way. Our philosophy is simply to treat you and your family with the utmost respect and care. We provide all the sensitivity and care with your family in their time of grief and always do the best we can to make this difficult time as easy as possible. Fremont Memorial Chapel is committed to online or group grief support. We promise you our support – you’re never alone.The practice of gathering at a memorial ceremony or service is part of the healing process for those left behind. The staff at The Fremont Memorial Chapel will help you decide the most fitting way to remember your departed. Fremont Memorial Chapel has an excellent reputation for high-quality, dignified funeral services for the families we work with. Our funeral directors give personal attention to each detail. We pride ourselves on being meticulous and detail-oriented from the moment of first contact with the family. We believe in celebrating life. A funeral or memorial service, whether traditional, or contemporary, is the first step in healing. At Fremont Memorial Chapel, we will help you design a ceremony for your beloved in a way as unique as the life they lived. Your service can be held anywhere and in any way you want. From the day of the week, the time of day, the keepsake gifts, the release of balloons or doves, any personal touch you desire is encouraged. The celebration of the life of your loved one gathered with friends and family is the first step in the healing process. We want to be the company you can trust to handle the details for you. Call our funeral director for any questions you have. Your next consideration focuses on choosing between burial and cremation. Usually, people are clear on this point. In fact, your loved one may have told you, or someone else, exactly how they wish to be cared for. But it can be a hard decision for some families, especially when the wishes of the deceased were never clearly stated. If that's the case, please know we're able to help you come to the perfect decision for your loved one, and for you. Once you decide, the finer details come into focus. If you've chosen burial, then selection of the casket, vault, and desired cemetery follows. Naturally, we’re here to help you.If cremation is your choice, then you'll need to make the next decision: whether the cremated remains will be placed in a mausoleum niche, or buried on the cemetery grounds. We have a new Urn store on the website that we invite you to visit.